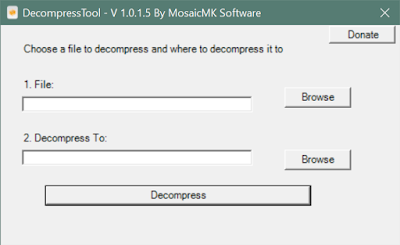 Decompress tool is a utility to decompress files. 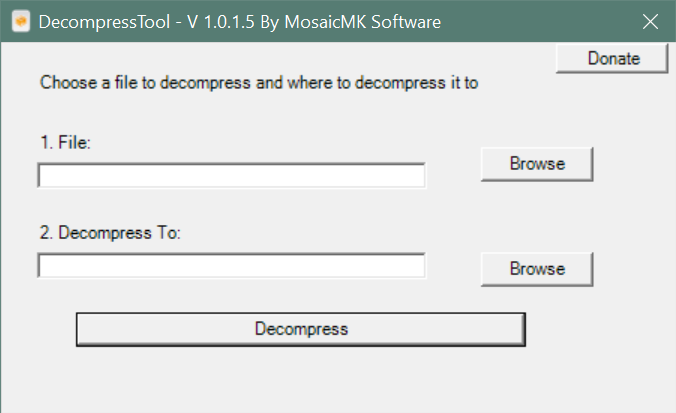 Decompress tool will decompress the data without verifying data integrity, this is useful for when other methods fail. The will allow some data to be recovers from a archive and in most cases 99% of the data will still be fine.